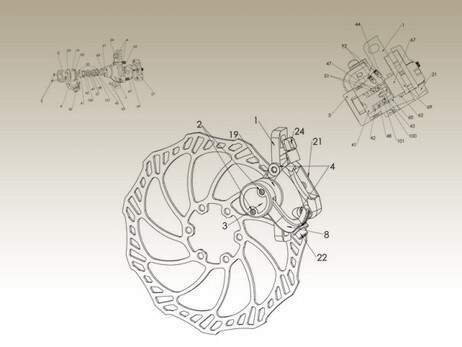 This invention is mechanism for implementing into mechanical disc brake caliper. Idea of present invention is hydraulic system which is used in mechanical disc brake caliper configuration to achieve hydraulic advantages in standard mechanical cable actuated disc system. System/mechanism of present invention works on two stage principle and it operates in closed oil system, with solution to problems that arise due to heat expansion. It gives much greater output force compared to output of standard mechanical disc brake which is limited to lever length and mode of transmission to brake pad. 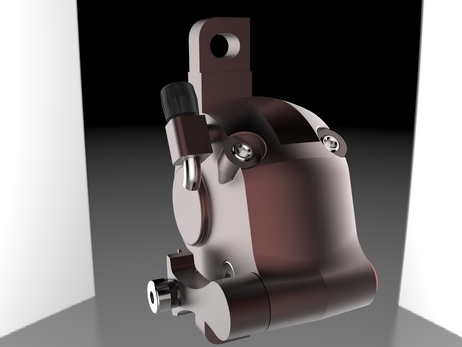 For the purpose of the mechanism implementation, I‘ve designed two brake caliper. 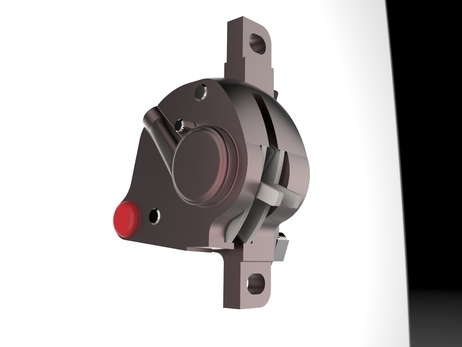 First brake caliper use system that is located in same axis as brake slave piston and it acts in one brake pad while other brake pad is regulated by screw. In second brake caliper, system is perpendicular to axis of slave pistons and it acts on both pistons which gives (in this configuration) output ratio of 11,4 : 1. Brake is made in two peace design. I have a provisional patent for this invention in US PTO. For more information about idea/invention do not hesitate to contact me. Due to confidential information, i will demand NDA agreement, thank you for your understanding.